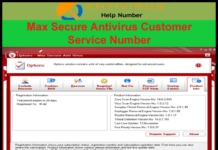 Home Antivirus How to setup a schedule scan in PC Matic Antivirus? How to setup a schedule scan in PC Matic Antivirus? 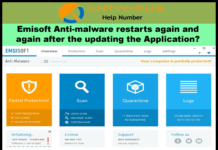 PC Matic is an Antivirus that is unlike any other Antiviruses out there in the market making false promises of completely securing your system from harmful viruses. PC Matic antivirus is based on whitelisting technology for protection against modern malware and viruses—as opposed to its rivals who use blacklisting technology for security against different threats. PC Matic is one of the best Antiviruses that can keep your data and system safe from modern threats while speeding the performance of your device. It comes with two version – free trial version and paid version. To download it, click -> here. Disk Defragmentation: for system optimization. Automatic update of vulnerable apps. Turn off unnecessary background services. How to set up a scheduled scan in PC Matic? To set up a scheduled scan in PC Matic you must ensure that you are currently logged in, and have run at least one manual scan and clean. Go to the dashboard and click the ‘None Scheduled’ right under your system’s name. A scheduled tasks window will pop up then, where you can view and edit your scheduled events for future. Now click the green button at the bottom of the window with name ‘Schedule New Event’ on it. You can be customized your scheduled scan from this screen and adjust the frequency, scan type, and other properties. Ensure to scroll to the bottom of the window to view all options and click on ‘save’ once you’re done customizing. How to use the master scheduler in PC Matic? The user who possesses more than one computer can make use of master scheduler. The master schedule allows you to schedule the scan for all the computers on your license to scan simultaneously. It doesn’t require different settings and can work on the single setting for all computers, so it reduces overhead. You can choose the Master Scheduler button from the dashboard itself. Once a new window pops open you can easily see the scheduling of a new event that will scan all computers simultaneously. Now you need to a click ‘Schedule New Event’ and set the time, frequency etc. Thereafter you need to finally click ‘Save’ and close the screen. How to contact Customer Care/support for problems with PC Matic? Next articleHow to install and Uninstall Malwarebytes Anti-Ransom ware for Business?